The retail industry is inundated with data points and insights that make claims about the way their audiences behave and how to connect with them. From this, a few themes have coalesced: consumers are built across many channels, brands benefit from an omni-channel strategy. In this shifting landscape, it is critical that brands understand how they’re performing online and how they can better connect with their online customers. 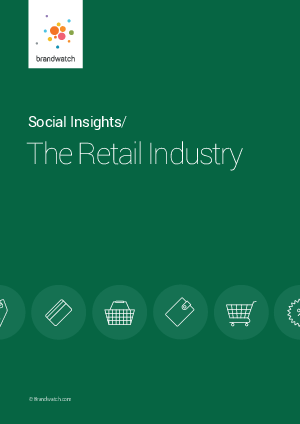 This Retail Report investigates over 10 million online conversations surrounding 43 major retailers, uncovering insights on brand-audience relationships, the response rates of retailers, and demographic analysis.